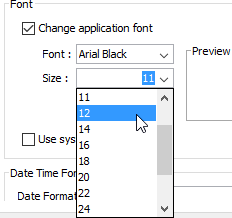 How to Change Application's Font Settings? Current: How to Change Application's Font Settings? Visual Paradigm uses the best possible font in its user interface. However, in case the default font setting appears to be too blur or illegible for users, the font setting in the application is allowed to be customized based on users' preference. In this tutorial, you can learn how to customize the application font in Visual Paradigm. 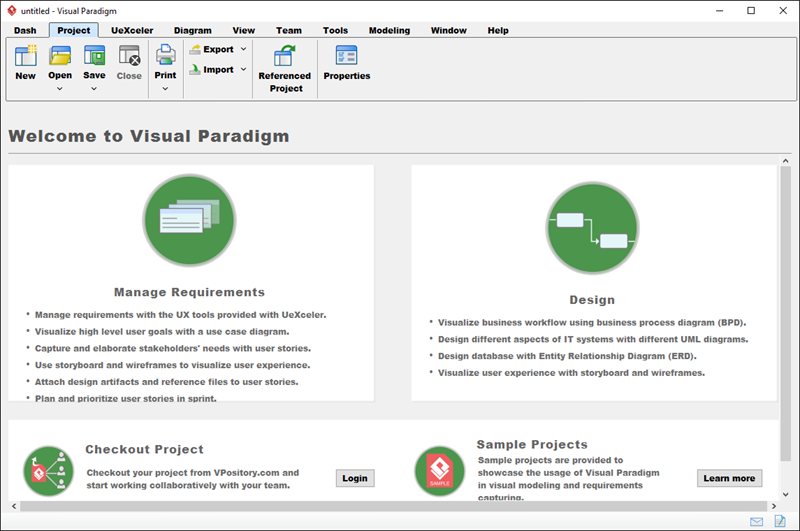 After entering Visual Paradigm, select Window > Application Options from the application toolbar to open the Application Options window. In the Application Options window, select General page and open Appearance tab. Now, you can change the font and its size. 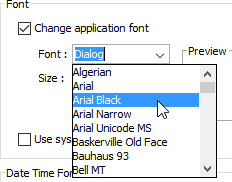 Select Arial Black from the drop-down menu of Font. Select 12 from the drop-down menu of Size. Click OK button in the Application Options window. In the pop-up Message dialog box, click OK button. It notifies you to restart the application.